← The Life and Times of Cora Annie Amelia Dinnis 1886-1963. 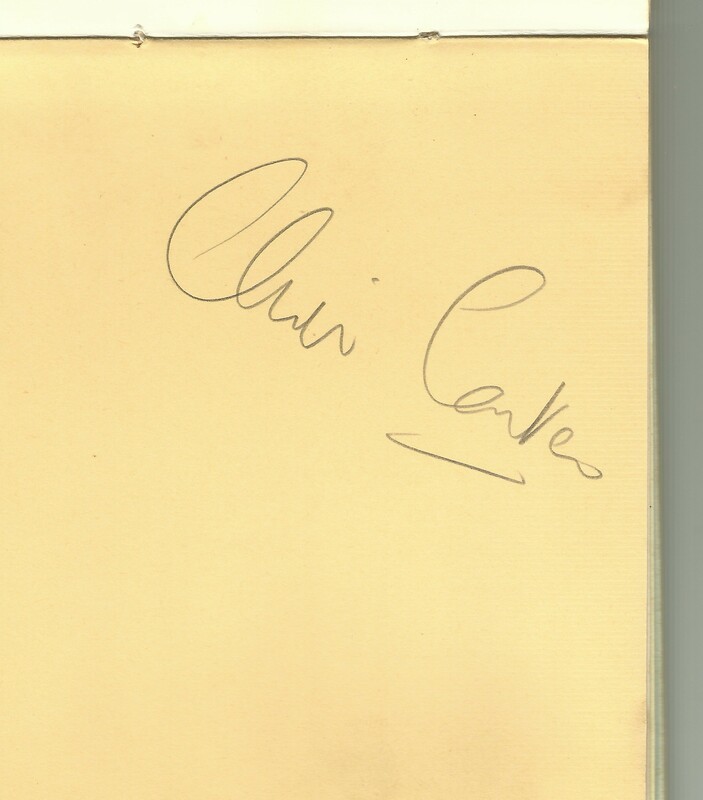 I wrote earlier about Chris Carter here https://jackiedinnis.wordpress.com/2013/07/09/autographs-school-visitors/ He visited my school, Woodingdean Primary School in 1969. He was called ‘The Running Policeman’ because he had taken part in the Olympics, and he was a policeman! I didn’t have much detail from the actual school visit, my memory was a little shaky and all I really had was his autograph. The other day I found this article in the school magazine ‘Echoes of Woodingdean’ it was written by Joanne Morley at the time. It contains much more detail, and jogged a few memories of mine from 1969! “A few months ago Chris Carter, who ran for England in the last Olympic Games which were held in Mexico City, came to our school to give us a talk. 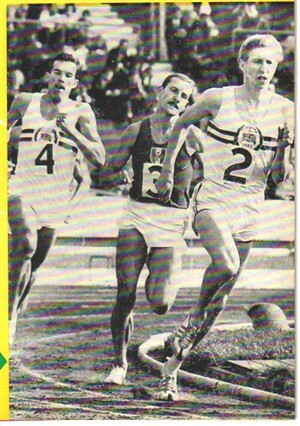 He brought with him some slides on Mexico and some of David Hemery and Sheila Sherwood who represented England and won medals. 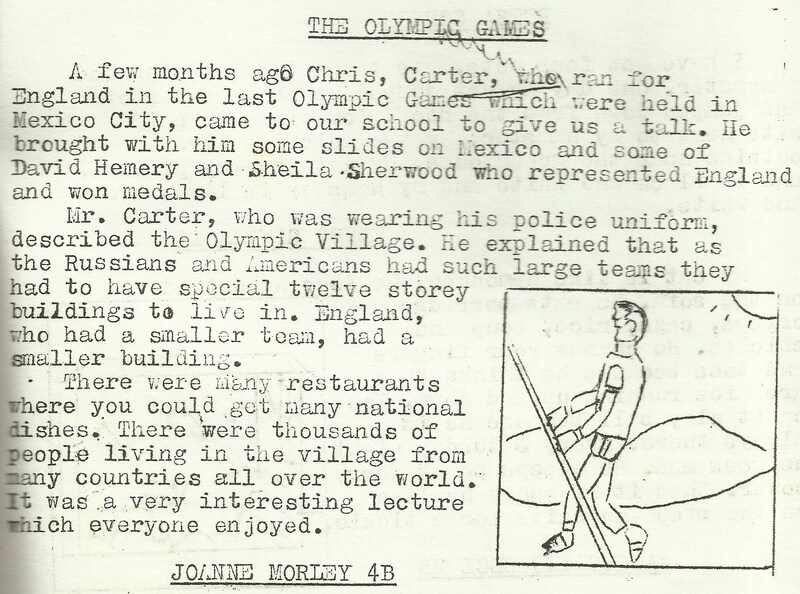 Mr Carter, who was wearing his police uniform, described the Olympic Village. He explained that as the Russians and Americans had such large teams they had to have special twelve storey buildings to live in. England, who had a smaller team, had a smaller building. This entry was posted in SPORT and tagged Brighton, History, Woodingdean Primary School. Bookmark the permalink.